The H.L. Stewart orchard evolved through several ownerships, including the Maine based Southern Nut Company, becoming what most septuagenarians and octogenarians today would remember as the John C. "Jack" Wright pecan orchards and Fort Bayou Dairy. The operation of Jack Wright (1879-1941) was partnered with his brother-in-law, Haroldson Lafayette "H.L." 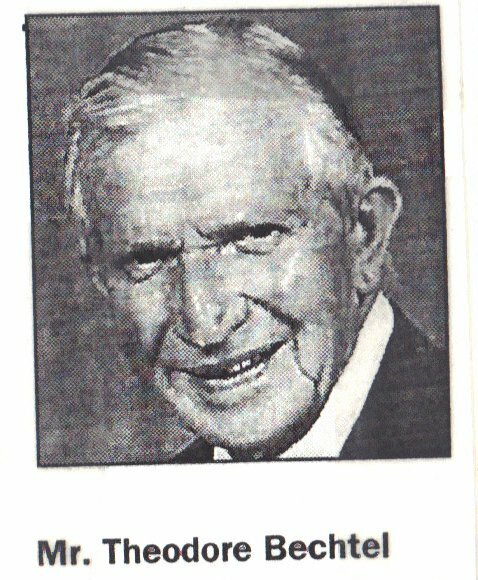 Hunt (1889-1974), the founder of Hunt Oil, Placid Oil, Penrod Drilling Company, Panola Pipeline, and others. Today, the one hundred plus acre, "Hunt Oil" property, as it became known, is now the Maurepas Landing Subdivision, which began infrastructure development in the winter of 1996, by Lovelace & Hamilton. The first home here was completed at 122 Surgeres (sic) Place in March 1998. With the waning of Dr. Homer L. Stewart’s personal fortune and his later demise, Theo Bechtel was hired by recently widowed, Martha Lyon Holcomb (1833-1906) to care for her orchards east of town. Here he toiled grafting pecan and fruit trees for Mrs. Holcomb. Emily Elizabeth Field White (1840 –1933) was born in Illinois on November 17, 1840. In 1858, she graduated from Knox College at Galesburg, Illinois. Mrs. White was an educator and resided at Wichita, Kansas and Chicago, before moving to Ocean Springs in 1917. (The Daily Herald, January 21, 1933, p. 2) Charles M. White and Emily Field White are at eternal rest in the Evergreen Cemetery on Old Fort bayou. In their advanced years, the Whites came to live at "Hollywood" on Porter with the Bechtels. Both Mr. and Mrs. Theo Bechtel were proactive in the political and cultural affairs of Ocean Springs. They were charter members of the Ocean Springs Civic Federation, which was instrumental in improving the physical appearance of the town with its construction of Marshall Park in 1911. Mrs. Bechtel was chosen as the secretary-treasurer of the Ocean Springs Civic Federation, by its membership. On September 9, 1911, Marshall Park was praised by A.E. 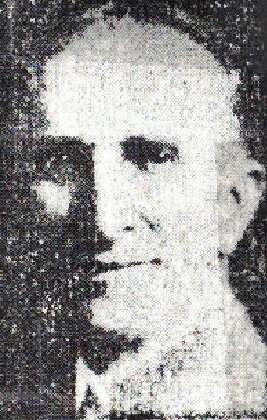 Lee (1874-1936), editor of The Ocean Springs News. In his journal, Mr. Lee wrote:"a very pretty spot and a credit to the town, the Civic Federation and the Park Committee, Messrs. H.B. Powell, Theo Bechtel, and J.H. Behrens. It should be the desire and determination of every loyal citizen to make it still prettier and a place all can point to with pride." At one time, Theo Bechtel shipped so many 5 and 10 pound pecan packages that this activity caused the rating of the Ocean Springs Post Office to grade higher than expected for a town with its population. Mr. Theo Bechtel was a seeker of justice. In late 1923 and early 1924, he filed lawsuits in the Chancery Court of Jackson County against juveniles from Ocean Springs who had stolen over seventy pounds of pecans from his orchard. Bechtel wanted them sent to the Mississippi Industrial & Training School, a reform school. (JXCO, Ms. Chancery Court Causes No. 4395-4398). Thomas E. Dabney, Ocean Springs: The Land Where Dreams Come True (c. 1915), (reprinted by Lewis Printing Services: Pascagoula, Mississippi-1974). Jackson County, Mississippi Chancery Court Cause No. 1578, "Estate of Martha A. Holcomb", August 18, 1906. Jackson County, Mississippi Chancery Court Cause No. 5324, "Estate of Theodore Bechtel", 1931. The Biloxi Herald, "Ocean Springs", December 19, 1891. The Daily Herald, "Bilbo’s Pecan Farm", January 2, 1917. The Daily Herald, "Bechtel Heads Pecan Growers", August 16, 1930. The Daily Herald, "Theo. Bechtel Funeral Held This Morning", January 19, 1931. The Daily Herald, "Woman Dies As Residence Burns", January 14, 1939. The Daily Herald, "Mrs. Bechtel Dies", March 15, 1946. The Daily Herald, "Know Your Coast"-"The ‘Success Story’ Of Ocean Springs", March 27, 1958. The Jackson County Times, "Flag Raising on the Boulevard", July 14, 1917. The Jackson County Times, "Death of Charles M. White", June 14, 1924. The Jackson County Times, "How To Save Storm Blown Pecans", October 2, 1926. The Jackson County Times, "Ocean Springs Wins Third Place In Literary Meet", April 28, 1928. The Jackson County Times, "Public School Pupils Receive Gold Medals", May 26, 1928.The Jackson County Times, "Graduation Of Five Ends High School Term", June 2, 1928. The Jackson County Times, "Bechtel Home Destroyed By Fire", January 21, 1939. The Ocean Springs News, "Dr. H.L. Stuart (sic) Cannot Be Found", January 23, 1909. The Ocean Springs News, "Local News", May 1, 1909. The Ocean Springs News, "Local Corporation Creates Interest", October 29,1910. The Ocean Springs News, "Local News", September 9, 1911. The Ocean Springs News, "Local News", February 7, 1914. The Ocean Springs News, "Local News", April 25, 1914. The Ocean Springs News, "Pecans Are Being Sold Faster This Year Than Last Year", November 18, 1915, p. 3. The Ocean Springs NewsThe Ocean Springs Record, "Florence Ogden Bechtel", May 20, 1997, p. 5. The Pascagoula-Democrat Star, "Ocean Springs Locals", August 6, 1897. The Pascagoula Democrat-Star, "Thomas A.E. Holcomb Obit", August 27, 1897. The Pascagoula Democrat-Star, "Ocean Springs Locals", January 28, 1898. The Pascagoula Democrat-Star, "Ocean Springs Locals", February 10, 1899. The Progress, "Local News Items", January 30, 1904. The Sun Herald, "Arlene Muzzy White", December 8, 2000.